Archives are collected and organized based on the concept of a 'record' which can be a paper document, a photograph, a map, a film, sound recordings, an electronic diskette, documentary art or an architectural drawing. Collecting records differentiates an archives from a library, which collects published items, like books, or a museum, which collects artefacts like clothing, medals, statues or other objects. Archival holdings are arranged according to principles of provenance, original order and respect des fonds, which seek to preserve the context in which records were made or received by their creator over time. They are not organized by subject contents but rather by the person or organization that accumulated them. Finding Aids and Research Guides can aid users in navigating the themes and subjects contained in the archival collections. 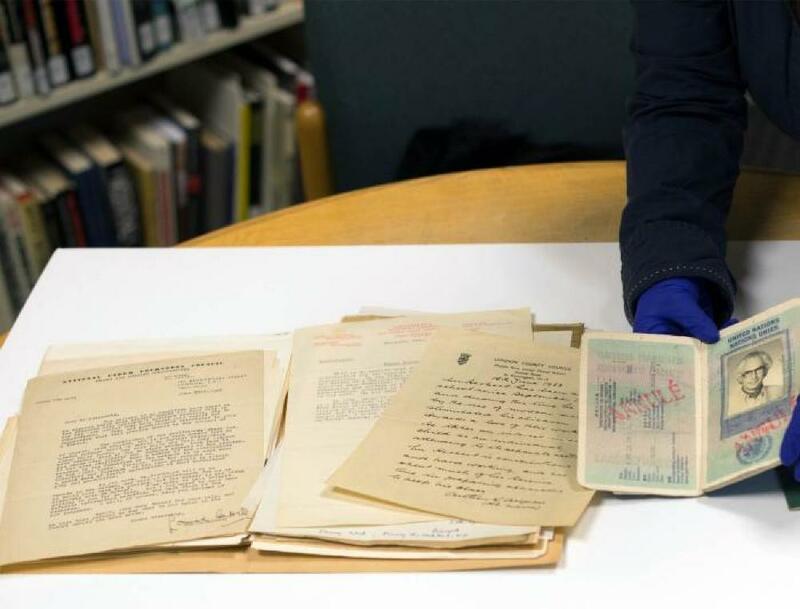 Photo identification must be presented and registration is required prior to accessing materials in the Archives, Museum and Holocaust Testimony collections. No food, drink, pens or indelible pencils are permitted when accessing collections materials. Researchers may be required to wear non-latex or cotton gloves when handling artefacts or fragile documents. Paper and pencils are available on site. Researchers wishing to use digital cameras (or camera equipped mobile phones) are asked to consult the collections staff on duty prior to use. Digital copies of materials may be available. Collections staff will be available to answer research questions and to help users navigate the VHEC cross-collection database. Users wishing to publish or license content from the VHEC Archives must inquire with the collections staff regarding the intellectual rights (e.g. copyright) attached to the materials. Users must cite the VHEC as a source with an appropriate credit line and, if a particular material is copyrighted, must cite all copyright information and comply with all other terms or restrictions that may be applicable to that material. Permission to examine physical records, born-digital materials, printed copies or digitized items is not an authorization to publish. If the content in question is under copyright, permission to publish should be sought from the owners of the rights, typically the creator or heir to the creator's estate. Contact staff for copyright inquiries. Contact the archivist by phoning 604-264-0499 or by emailing at collections@vhec.org should information about archival holdings not be available on this website, or if you are the copyright owner and believe the online catalogue has not attributed your work properly. Learn more about using archives in the classroom here: Archives in the Classroom.